Ready. Set. Glow! 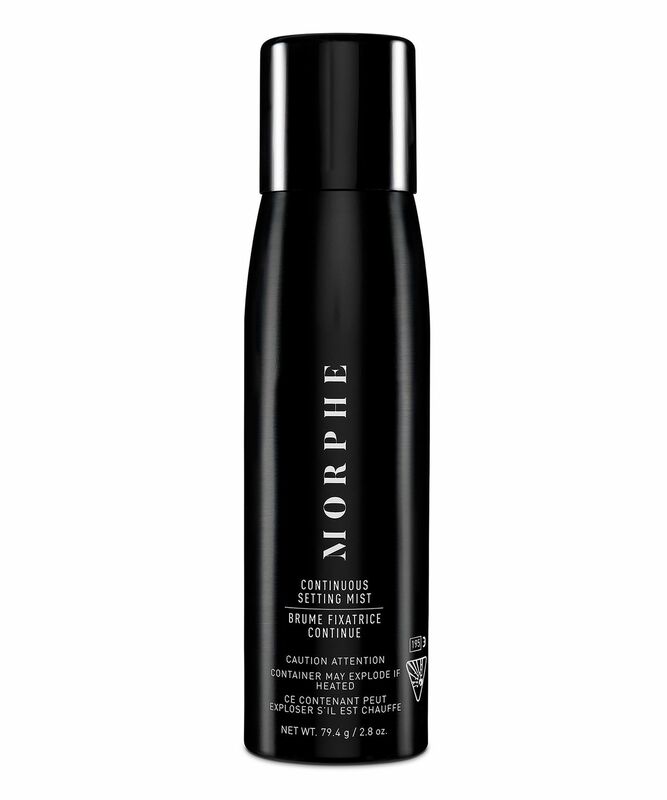 Unlike the average manual push pump setting spray, Morphe’s game-changing Continuous Setting Mist – which had every beauty buff dying to test it after its original launch – delivers a continuous lightweight mist that leaves skin feeling fresh and subtly hydrated. 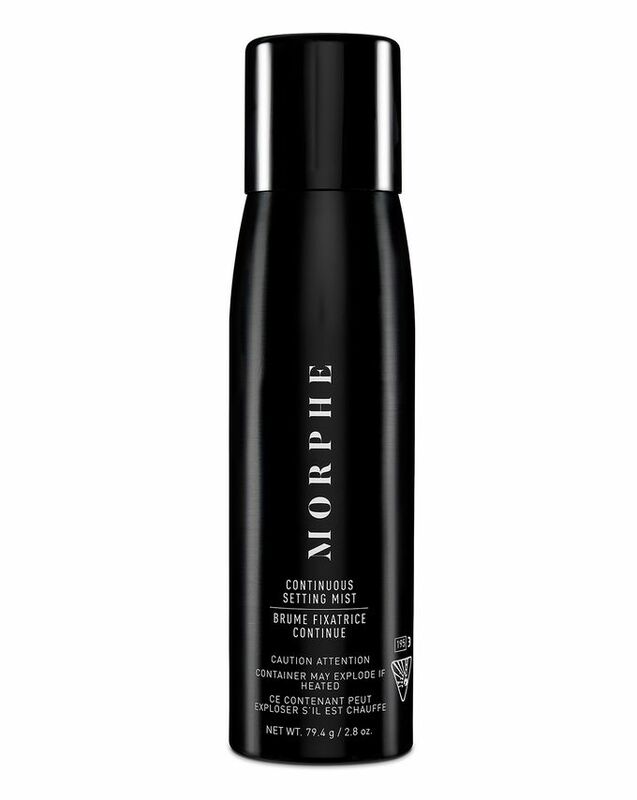 Say goodbye to melting, caking or fading and swap your old clumsy manual pump setting sprays for Morphe’s ultra-fine, refreshing air-powered mist, offering complete control and unbeatably smooth application. Delivering a subtle ‘lit-from-within’ dewy finish, this setting spray protects your artistry as it boosts radiance. while spritzing on your favourite Morphe brushes helps to build even more intense pigment pay-off too. Hold the bottle 8-10 inches away from face. Close eyes and apply the mist all over your face. · Spray your brush with Continuous Setting Mist before sweeping on a popping highlighter or intense eyeshadow. · Dampen your beauty sponge with Continuous Setting Mist and use to press out dry or creased make up. This product is such great value for money and works better than any other setting mist I’ve tried. The ultra-fine mist leaves my make up looking fresh all day (and night) with absolutely no sticky residue. I love the mist but my sensitive skin doesn't seem to like the ingredients. I am itching and it also feels slightly burning, so sadly i can't use it. Usually I use Skindinavia and that gives me no problems. Such a good product! Great value for money and I am very happy with it. I’ve been seeing EVERYONE on YouTube talk about this for months so I finally purchased and I’ve fallen in love. The mist is amazing but hoping some drugstore brands copy as even tho it is still affordable I’m scared I’m gonna run out of it quickly. This is the finest mist it could ever exist in the whole world! Absolutely in love with this product! My makeup lasts ages with a natural look! Fantastic; works like a charm. It is as light as a feather and make-up stays put. I love it. IT'S THE BEST! I'm in love with this setting mist! I recommend it, for sure! It's amazing! It makes my makeup so airbrushed and applies so evenly! I can't part from it, however, it runs out quite fast. Worth it. I'm so impressed with this setting spray after the first use, my foundation and powder look like smooth skin and it hasn't settled into my lines. I look ten years younger. I can't believe I haven't used this before and I won't be without from now on. Very fine spray leaves no splodges on your face and leaves your skin looking dewy and healthy. People with oily skin might not like but I have normal skin so I love! This spray is so fine that when you spray it on your face can barely feel it touch the skin leaving you with none of those dreaded watermarks. It’s great for melting powders together and keeps make up locked in place all day. Just a great setting spray. I love the continuous spray of the mist and how fine it is! Perfect for refreshing your face, setting your make up and softening the look of a powdery face. The mist smells lovely and doesn't leave your face feeling cakey but I don't think it does that great of a job keeping your makeup in place especially for a long time e.g. 8+ hours. Wouldn't buy again. Could be better but best one I’ve tried so far. Especially good for in winter with having a cold so your makeup doesn’t run. For an aerosol setting spray, it has the finest mist I’ve tried on a setting spray. The mist dispensed is so fine, you can apply with your eyes open and it really locks your makeup into place all day long. Fantastic, works like a charm. It is as light as a feather and make-up stays put. I totally recommend this product. Nice setting spray, dosn't control shine on t zone but feels nice knowing i have something over foundation, not sure if has much of a effect. Not much in the can, I used the spray every morning for about 2 weeks then it run out. Brilliant... but runs out very quickly! I had to deduct 2 stars because while this does a perfectly fine job at setting makeup, I find that it runs out MUCH quicker than any of my other setting sprays. I use a setting spray every day, once a day, and this one ran out after only a few weeks. I think this is due to the fact that it is an aerosol instead of a spray. However it is precisely that which makes the mist so fine and apply so evenly on the skin!. For £15 I definitely won't be buying this again as it works out far too expensive. I would recommend this if you only occasionally use setting sprays. I tried this for the first time off the recommendation of so many YouTube beauty gurus, and it is amazing! It allows all your makeup, powders etc to melt together giving you a flawless skin-like finish. Would buy again and again!